When we bought our first house, we needed furniture.We were on a tight budget and interested in antiques, so we often went to estate sales. One sale in particular was in an upscale neighborhood. There wasn’t much that would fit our décor, but my husband spotted an old chest in the corner. It would be perfect near our fireplace. The price was right; we bought it, returned home, and carried our bargain into our family room. 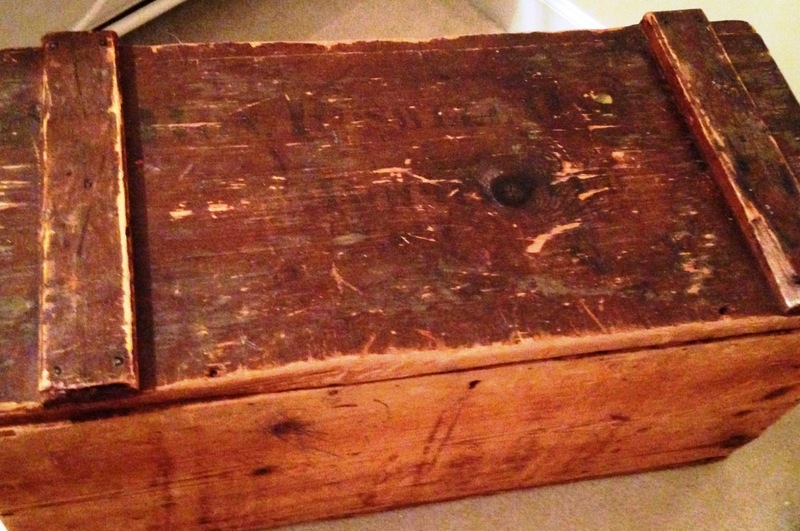 As I dusted and began to polish the surface of the old wooden trunk, I saw black marks. With a little more effort, a printed name emerged. Who was this person? I called the local historical society. As information unfolded, I became intrigued with the owner’s biography. It would be quite a prize to local antique collectors. We merely wanted an old trunk to store wood for our fireplace, but we began to appreciate it on a different level. Somehow, I just couldn’t use it for wood storage. It became a coffee table and I stored magazines in it. Once I knew the story behind the trunk, it had a different value. That’s the way it is with our life stories. We may think they were for just us, or even insignificant, but they have value often unknown that may not surface for years. Last week we looked at frames for our pictures. What did you find as you turned pages in a photo album? Did you see an answer to prayer in a photo of a bride and groom? Would that story encourage a young single person waiting for a mate? Did you see perseverance behind a smiling face of one receiving an award? Would that story encourage someone who practices hours to reach a goal? Does a photo of a family gathering include stories of traditions? Does the photo of a young woman showing her college acceptance letter tell the story of prayer behind a decision? Like my old trunk, photos have stories. Our life stories shape us. Our stories influence others and have value. Will your stories touch someone? Yes, only if you tell them. Can you start today with a single photo and tell the story behind the photo? I love this post, today, Marilyn. It's true how our perspective changes about something or even someone once we know a little about it, or them! We are funny like that, aren't we? Great reminder of how our stories can be used to encourage and/or teach one another. Definitely, Tammy. Thanks for your comment. We are always influencing and teaching, sometimes in the obvious, sometimes subtle, and sometimes hidden. Lots to think about. Love it, Cathy! It's amazing how our perspective changes when we see "story" vs. a still photo. Love this, Marilyn! Our stories definitely have value.